CUI’s Audio Group from Tualatin, Oregon, announced the addition of several waterproof micro speaker models, with Ingress Protection (IP) ratings of IP67, to its CMS product family. 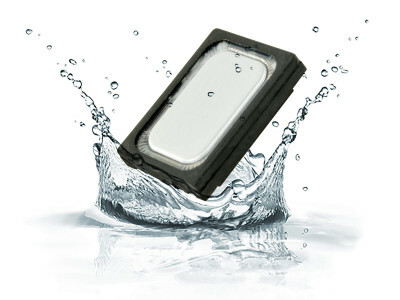 Housed in compact packages measuring as small as 15 x 11 mm with profiles as low as 2.5 mm, these waterproof speakers are ideal for portable and handheld electronic devices subject to the moisture and environmental contaminants found in industrial and outdoor applications. 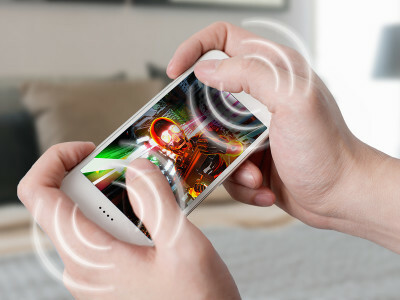 Stetron announced the development of a 520Hz low frequency new miniature loudspeaker designed especially for the Fire Alarm and Protection Industry. Featuring a slim design with a Mylar cone, which renders it water resistant, the Stetron D0057008NM127AR low frequency driver was designed to be used in UL217 approved products and complies with UL 217 performance requirements. 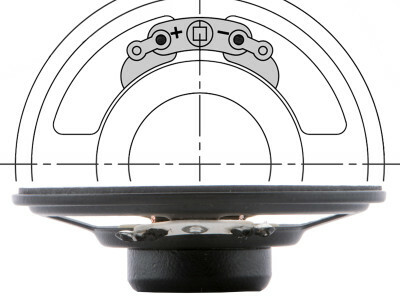 This low profile driver is able to achieve high SPL, with a small foot print of only 2.25" (57mm). 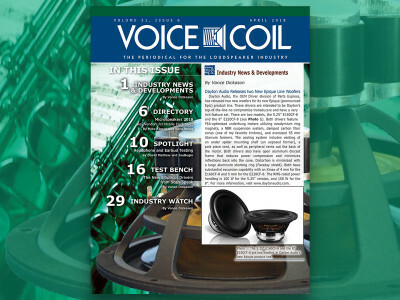 Voice Coil April 2018 highlights new drivers from Dayton Audio, and BlieSMa, a new OEM brand from Germany. 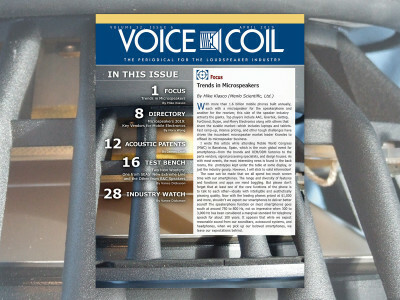 There's an updated directory of Microspeaker vendors, and David Mathew and Joe Begin from Audio Precision explain all you need to know about the basics of testing headphones and earbuds. Vance Dickason characterizes two of the new Ellipticor drivers from Scan-Speak, and we pay tribute to loudspeaker pioneer Ejvind Skaaning (1929 - 2018). Get your copy now! 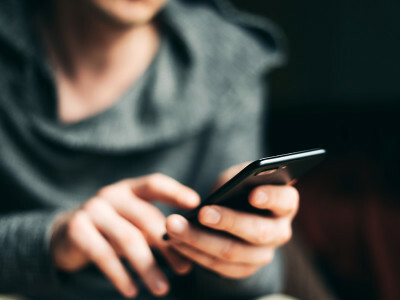 During Mobile World Congress 2018, CEVA announced the availability of Dynamic Speaker Management (DSM) software from Maxim Integrated Products for its CEVA-TeakLite-4 family of ultra-low power audio/voice DSPs, allowing for much louder and richer sound on smartphones, wearables and headsets. 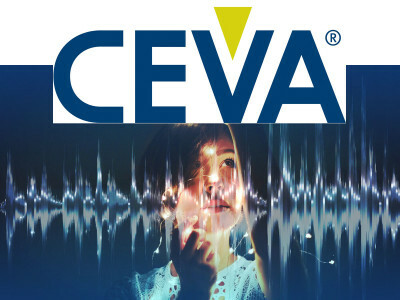 CEVA also confirmed that Nuance Voice Activation technology is now available for the CEVA-TeakLite family of DSPs, offering improved performance and power efficiency for mobile devices and smart home applications. 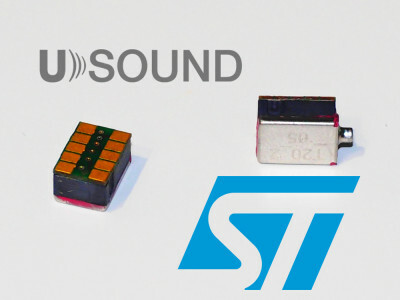 STMicroelectronics and USound, an innovative and fast-growing audio company from Austria, have delivered the first silicon micro-speakers resulting from their technology collaboration, announced early 2017. The two companies confirmed that they are ready to enter volume production, engineering samples are now with lead customers, and trade demonstrations will take place during CES 2018, in Las Vegas. 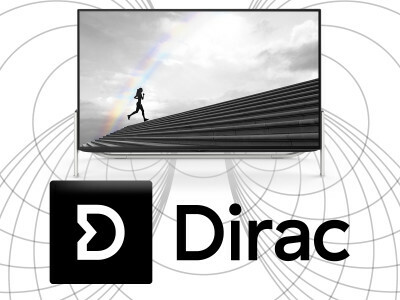 After two years of collaboration, the two companies are set to unveil a series of breakthrough product prototypes that demonstrate the now-possible audio experience available across all consumer technology product categories. 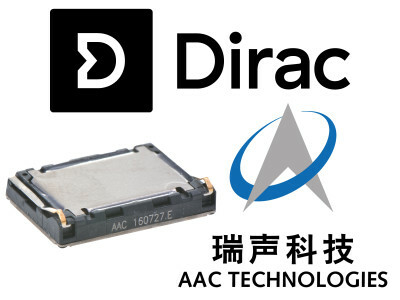 The AAC-Dirac product prototypes available for demo at CES 2018 include a smart speaker, smartphones, an augmented reality headset, and an ultra-thin automotive speaker – all of which are custom-configured with sophisticated AAC-Dirac audio subsystems.